The Public Service Fellowship Program is a partnership between the University of North Carolina at Charlotte’s Master of Public Administration (MPA) Program and agencies operating in the public and not-for-profit sectors. The objective of the fellowship program is to encourage quality individuals to pursue careers in public service. Such programs are a necessary step if public and nonprofit organizations are to meet the expected high demand for qualified and experienced leaders, managers, and analysts over the next decade. Large-scale retirements of public service employees are looming in the near future. This fact, combined with a small projected labor pool to draw from, poses a serious problem for public and nonprofit agencies. At a time when the baby boomers will be leaving the labor market and bringing their valuable experience with them, competent individuals both willing and qualified to enter the public service will be in short supply. Unless something is done to increase this supply, public and nonprofit agencies will find it progressively more difficult and expensive to recruit and retain employees. The Public Service Fellowship Program is designed to help regional agencies cope with this labor shortage problem. Interview fellowship candidates prior to hiring. Pay stipends to fellows of at least $12,000 ($1,000 per month). Pay fellows’ in-state tuition expenses (including fees). May terminate fellows at any time for poor performance. Must involve fellows in work relevant to the core functions of the agency. Must be full-time students (at least 9 credits per semester). Must work 20 hours per week in the host agency. Cannot work another job while under the fellowship contract. Must maintain a 3.0 cumulative grade point average in their masters-level coursework. Agencies gain inexpensive, high-quality labor; the quality of which only improves as fellows complete their coursework in UNCC’ MPA program, one of North Carolina’s few NASPAA accredited MPA programs. If permanent personnel lines are in short supply, the low cost of the fellowships allows agencies to use one-time money to acquire high-quality labor. Fellowships offer agencies the opportunity to target minorities, women, or other groups that are underrepresented in the public service field. Agencies can convert the fellows into full-time employees upon graduation, thus gaining personnel experienced in agency operations. The fellowship serves as a probationary period where the agency can assess whether fellows’ are suitable for full-time employment. The Program presents an opportunity to mentor fellows before current employees retire, thus enabling agencies to retain a great deal of institutional memory. The Program can be used to build a sense of loyalty in fellows, making them easier to recruit and retain. Combining work experience with full-time graduate study provides employers an opportunity to persuade fellows to take courses which enhance specific knowledge and skills desired by their agencies. For these reasons and more, Public Service Fellowships are a great idea for public and nonprofit agencies. Merging the MPA Program’s rigorous plan of study with real world experience will present prospective students with a tremendous opportunity to develop the skills and knowledge base necessary to build successful careers. The Public Service Fellowship Program is, therefore, likely to make Public Administration a more attractive field of study for many individuals preparing to enter the workforce. 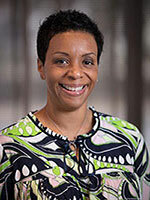 MPA alumna is named Executive Director For Apartment Association. The mission of the Master of Public Administration Program at the University of North Carolina at Charlotte is to provide education and training for the public and nonprofit sectors, conduct scholarly and applied research to advance the field of public administration, and serve the community.